Since Dallas and I are planning to travel together, we went on a practice bike trip to the North Shore, on the other side of Lake Pontchartrain, just before jazz fest began. It took us 2 days to get to Fontainebleau State Park due to our late departure time, but only one day to ride back. 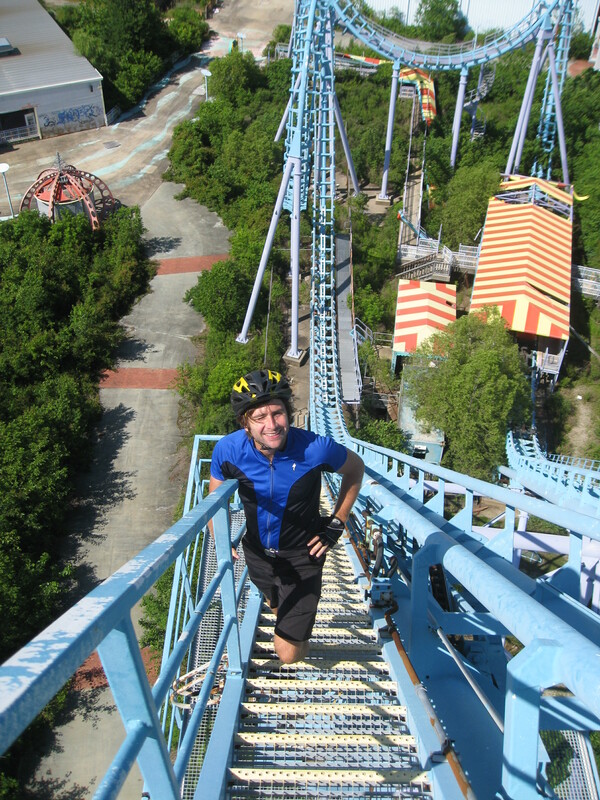 On the way, we stopped and explored the abandoned Six Flags amusement park. We set up camp in Slidell when it started to get dark, several feet off the side of a road leading to nowhere that had been barricaded. We had plenty of time the second day to ride to the park and eat dinner in Mandeville before pitching our tent in the woods along the bike path. We met up with Mark, one of Dallas’s coworkers, for breakfast on the third morning before leaving Mandeville. The three day trip was just what Dallas and I needed to confirm that we would be good travel partners. We also got to test drive the tent that I purchased using my REI dividend. While I don’t like it as much as Phil’s Stoic tent, the Big Agnes Fly Creek is extremely light, easy to set up, and suited our needs well. After this mini bike tour, both of us were enthused about our upcoming plans to ride together when we leave New Orleans. 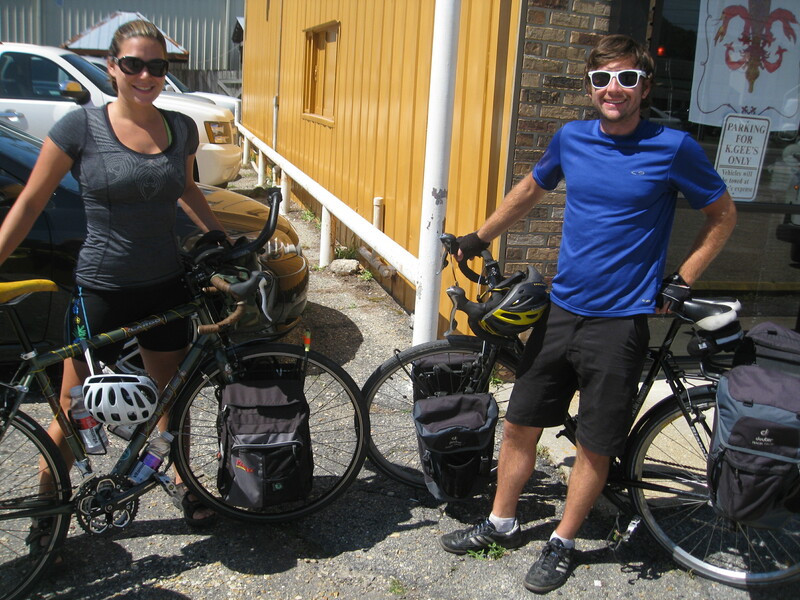 Posted on 11 May 2012, in Bicycle Touring, New Orleans, The space between. Bookmark the permalink. Leave a comment.